Meeks Park on Hwy. 515 in Blairsville, Georgia. P. O. Box 2814, Blairsville, Georgia 30514. * Register online at Active.com. 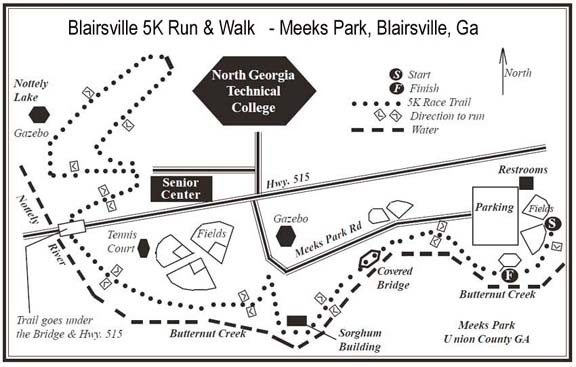 * Register on the day of the race at the park. *Those who register on or before April 8, 2016 will pickup their shirts at the race. 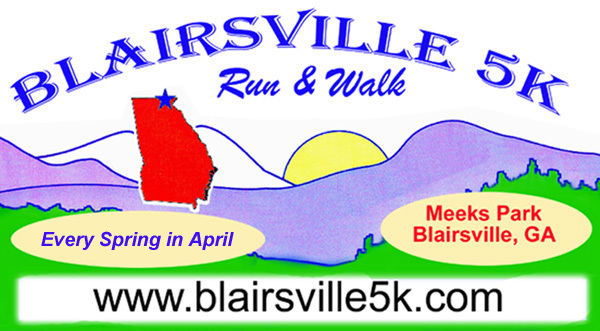 *Those who register after April 8 or on Race Day will pick up their shirts two weeks after the race. Out of town runners/walkers can have the shirt mailed.